The green witch is warming by the fire at night in the woods and waving his hands. hd00:15Close up of Red Amazon Scarlet Macaw parrot or Ara macao, in tropical jungle forest. Wildlife Colorful selective focus portrait of bird with vibrant feathers from exotic nature. 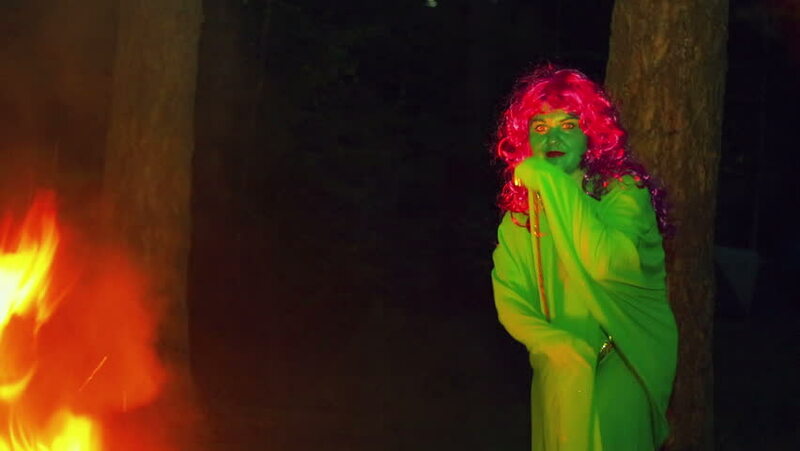 hd00:06The green witch is warmed by the fire at night in the forest. hd00:16Close up shot of a colorful parrot cleaning itself then takes off and flies away. hd00:15RGB split fx on a gleeful man's expression. Medium close-up shot of the face on black background.